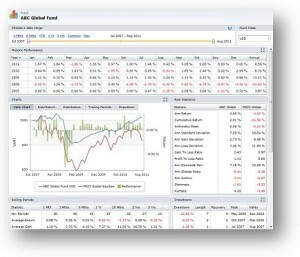 The FolioAnalytics module is part of FolioMetrics’ integrated solution for investors in hedge funds. It provides a powerful platform for conducting comprehensive statistical analysis and reporting. Seamlessly integrate proprietary performance information with data from third party data vendors. Use powerful and flexible views to compare funds and benchmarks. Instantly view charts on screen to easily analyse items such as performance distribution, drawdowns and rolling statistics. Quickly select any time period to run the analysis for. 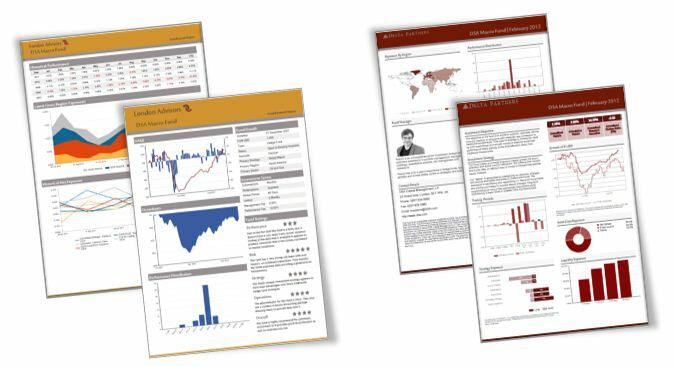 View performance, risk and correlation statistics. FolioMetrics includes numerous out of the box reports and a flexible reporting tool to customise output to your specific requirements both for internal analysis and client reports.